I wake up at seven fifteen every morning no matter when I go to sleep at night. A light turns on inside of me and I cannot ignore it. I cannot roll over. I cannot not think about everything. I get up and go on walks before anyone else is awake, slip out the front door and for July it’s cold and wet and strange in California. Early morning hours do not feel real. I talk to myself and work out the kinks and notice people smoking early cigarettes in the alleyway behind their homes. I feel like I am traveling on a plane of time parallel to reality. I am inch by inch crawling out of a deep grave. California reminds me of someone I once was and someone I once wanted to be. But I don’t really know her anymore. They say you can never go home again, but I don’t know if that’s true. She is always here for me. A few blocks from the house I find a park and run up and down the stairs until I almost throw up and that feels good and right. When I was little my mother used to take me to this park, she’d chase me up these stairs and I have intense memories of how large everything felt then. I read an essay this morning that I’d written shortly after we met about letting people go and understanding the passage of time. It’s like I knew more back then and learned less as the months peeled away. It’s strange how happiness and safety can alter our perception of reality, and more so how we are led to believe they could be permanent. 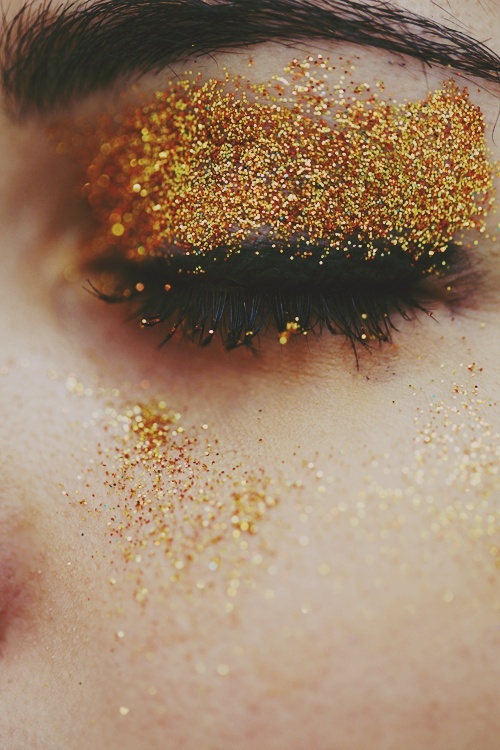 You get glitter in your eyes and can’t see straight sometimes. It was raining this morning when I left the house and I could catch my reflection beside palm trees in the puddles near the park. I don’t always recognize myself anymore but it’s nice to be reminded we are made up of things like limbs and heartbeats and hard stares. I pray at night now which I never did much of before unless someone I loved was dying. I feel like I’ve been living closer to the edges of myself than ever before, testing to see where the ground wears out. Inch by inch.